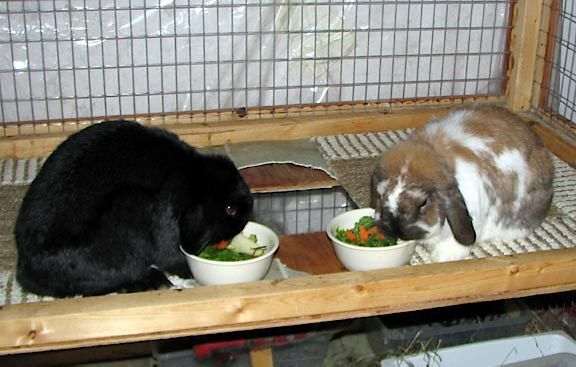 PS: RabbitsGuy says, "(...) long deceased Winston and Lucky from the House of Rabbits doing what they most enjoyed!!!" "The Boyz" They were sort of "Good Bunny" - Lucky - and "Bad Bunny" - Winston. Both were "handsome bunny" if this photo is any indication. And able to disapprove of the slightest infraction!